Las Vegas has been very successful in marketing itself as the world’s debauchery capital but for people who like being in nature, adventure, and local travel experiences, it’s one of the most interesting cities you can visit. Feel free to add the following to your gambling debt, beer, or sober savings as you wish. These are the best things to do in Las Vegas, whether you like casinos or not. 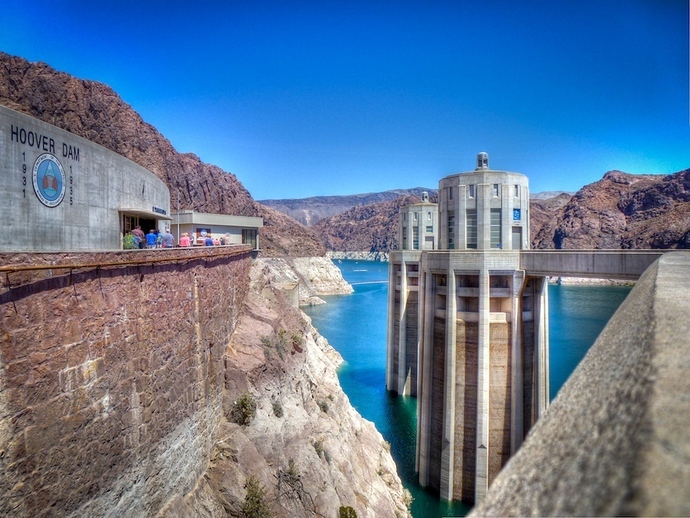 Let’s start small with the massive Hoover Dam, a story and engineering feat not to be missed about 30 minutes away from the Las Vegas Strip. I know, it sounds boring, but I couldn’t wrap my head around how impressive the Hoover Dam is nor can I adequately describe it in words. There are helicopter tours for $75 nearby but the best views from land are a bit down the Colorado River from the Mike O’Callaghan–Pat Tillman Memorial Bridge. About 30 minutes in the other direction from the Hoover Dam, the Red Rock Canyon Conversation Area is the nicest way to see nature from your own hop-on-hop-off car ride in a location that would otherwise find a way to kill you. 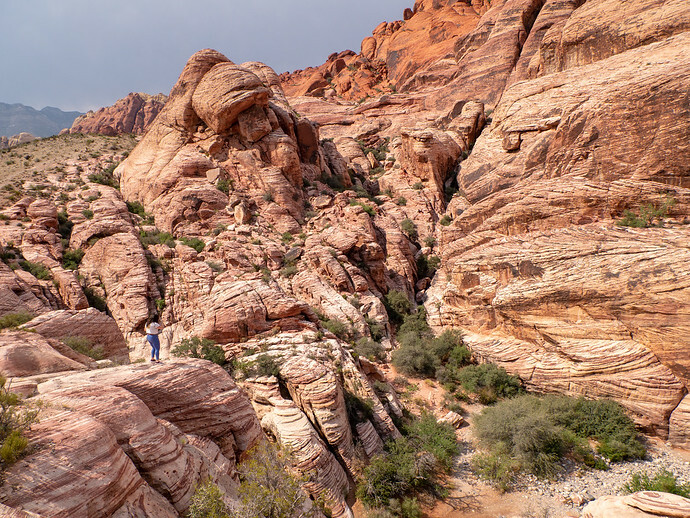 Red Rock Canyon though is set up with a ring road around to all of the most beautiful sights, so you can hike (or not) and take careful selfies while staying comfortably close to air-conditioning. Entry is $15 per vehicle. The video at the top of this post doesn’t really convey how immersive this virtual reality experience is. 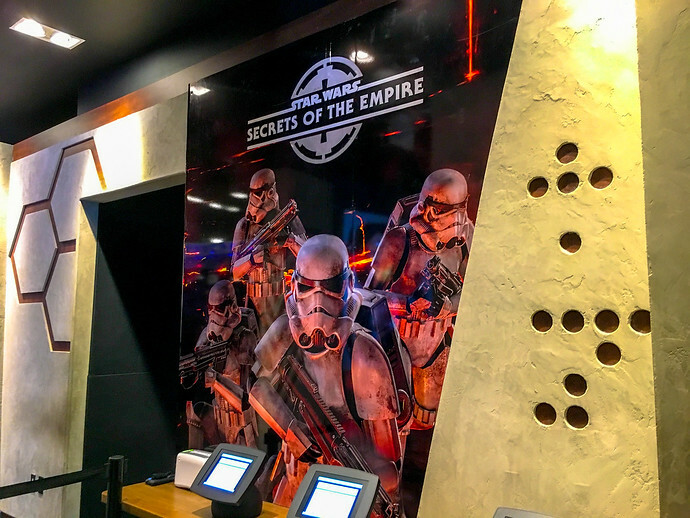 Helmet, gloves, and a large physical space to move around in and you’ll see your friends as storm troopers as you work to solve an intergalactic puzzle. I was completely shocked that VR technology had gotten this advanced, a nice glimpse into the future. The Void has a number of VR experiences inside the Venetian Casino (Ghostbusters and Wreck It Ralph) well worth the $30 for 15 minutes – trust me on that one. Remember, you need to buy tickets at least the morning in advance, here’s the link to purchase. Local food that’s not really local but that brings a common Venezuelan quick meal to Las Vegas. 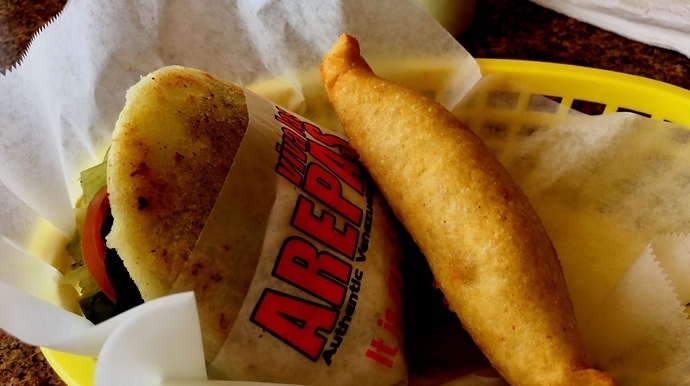 Viva Las Arepas has two locations serving arepas, a sort of sandwich on cornbread with several fillings. There are two locations in Las Vegas, both off the strip. Good food, atmosphere, and inexpensive too. Bonus: Much closer to the Las Vegas Strip, Bonito Michoacan is large portions of tasty Mexican food at very reasonable prices. Here’s my full review of Sky Combat Ace, an experience that basically lets you be a fighter pilot for 20 minutes. Better yet, check out the video here. 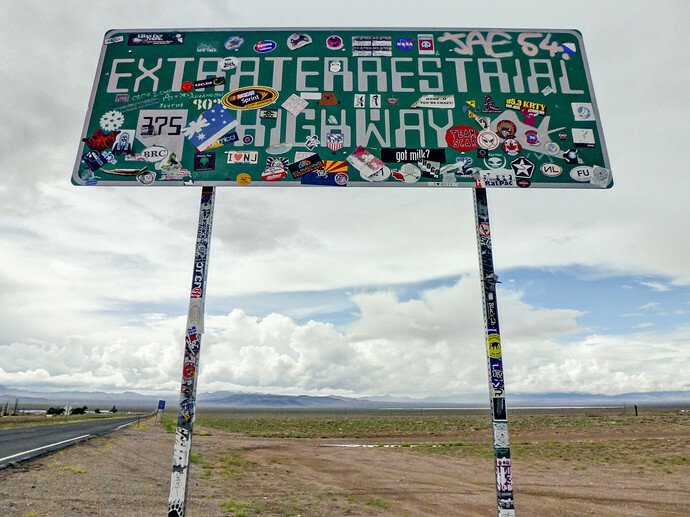 This is the ultimate road trip I’ve written about before, particularly if you like remote locations, aliens, or general quirkiness that gets you as close as possible to Area 51. Las Vegas may have been a lucky spot for the mob but it’s also in the middle of several different, rather untouched landscapes. The Grand Canyon is a roughly 3 hour drive, Death Valley National Park and its incredible salt flats about 2 hours away, plus plenty of cosplay right around August. What’s nice about Las Vegas itself is it’s like one of the hundreds of buffets in the city – you can pick and choose what you want to do to your liking. For some people, the blackjack table is a part of the course, but don’t worry if you like to drink lots of it or just use vodka as a bug repellent – so long as you don’t indulge before visiting Sky Combat Ace. ps. Apparently more than a few people have flown hungover and if you vomit in the plane, it’s a $250 or more fine – plus the poor pilot has to take apart the plane and pick out chucks of your breakfast before it’s can be flown safely again. Don’t be that person. PreviousThis Is A Great Time To Be Alive, So Why Are So Many People Checking Out?